So last night NIN returned live for the first time since 2014. 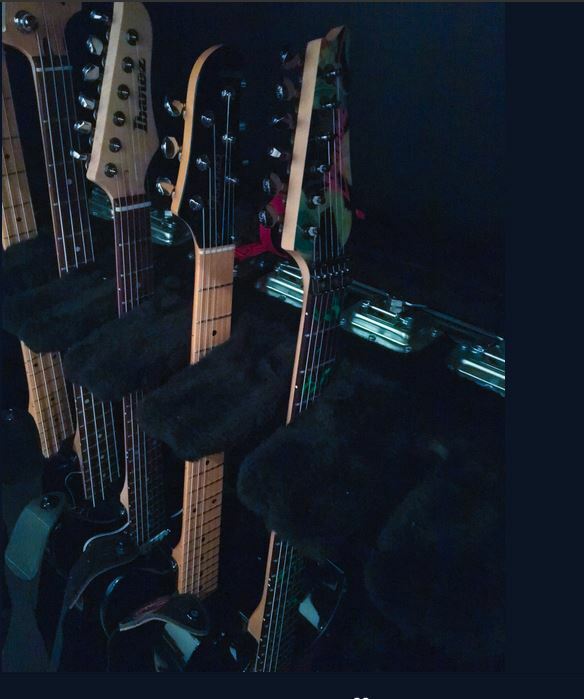 Since i'm a big fan of Alessandro and always curious about the equipment he uses with NIN and his solos work, i thought that it would be cool to have kind like a journal of his touring equipment for this tour. 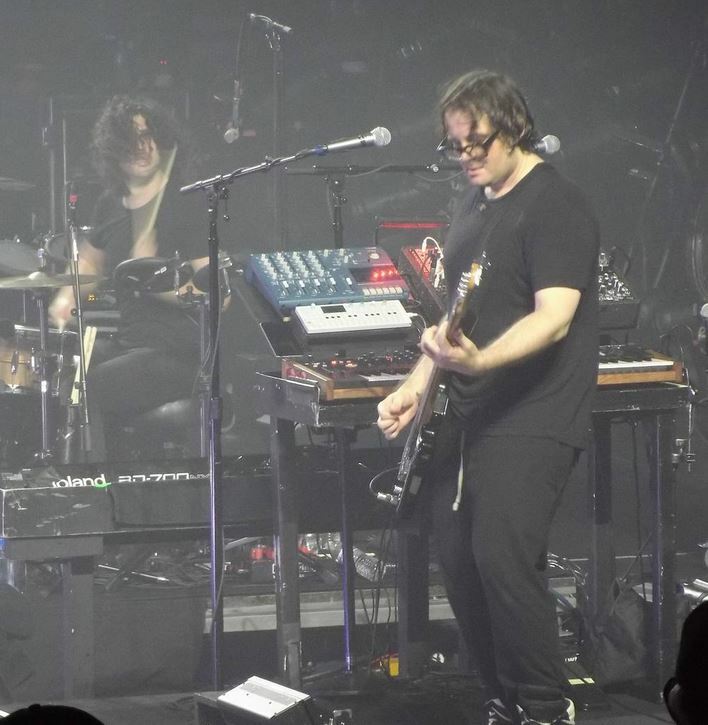 So, first he's playing bass this year, and his Rig seems to be a LOT smaller than the last tour (maybe because Atticus is doing some synths work). very cool. wonder if his phone is plugged into anything. Oh yeah i missed the phone.. who knows, maybe he's sending with the phone a particular sound to the Shared System and manipulating it for songs like The Great Destroyer. 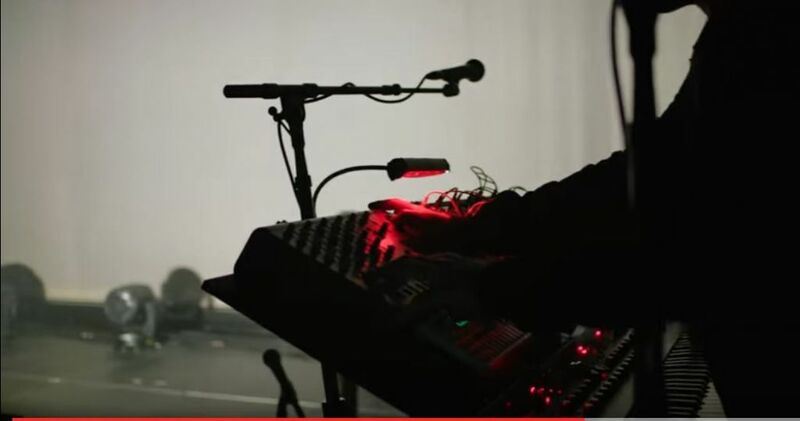 If i remember right he did something similar with an Ipod and the modular during the 2007 tour for the song "The Beginning of the End"
So hard to find videos where you can really see everything that guy does. Since becoming interested(obsessed) with modular, I've gained more and more respect for Cortini. He's such a talented yet open and humble artist. 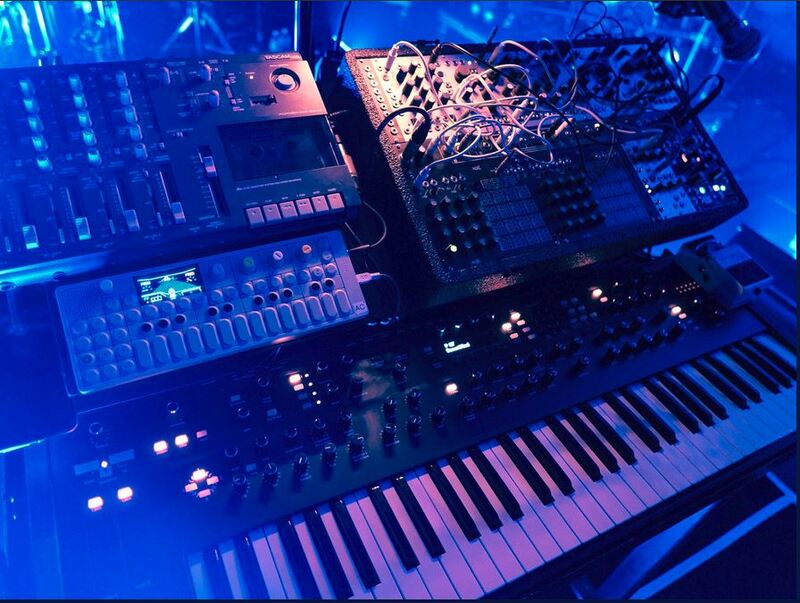 His live rig is pretty streamlined, but his home studio... he has some awesome synths. Glad to see he got a replacement button for his OP-1. Saw him perform in LA with his EMS Synthi last year. Was an amazing ambient set. Looking forward to any future solo shows from him! Is this a Sebadoh reunion? Thanks for the pictures, Numanoid! 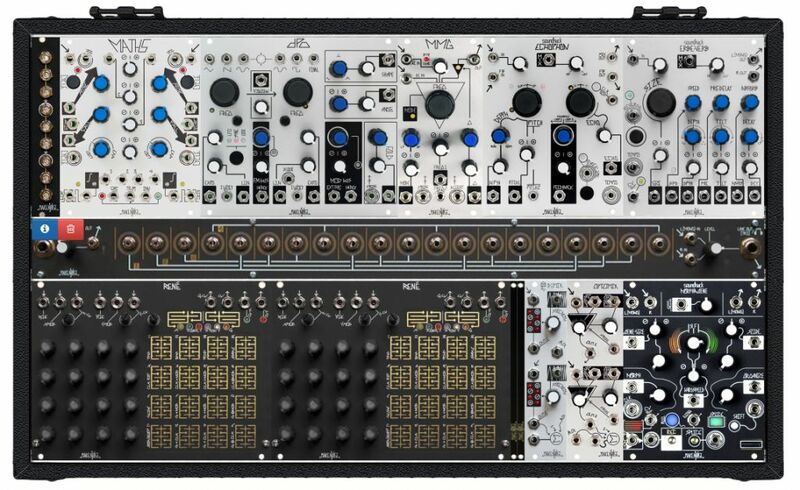 What's that module between the Rene and the Morphagene? Ah of course. Especially stupid of me since I have both. I thought it was one module. I'm trying to figure out the top of the MN System, can see the Maths and DPO, and the other end looks like Echophon and Erbe Verb, but the middle is fuzzy. 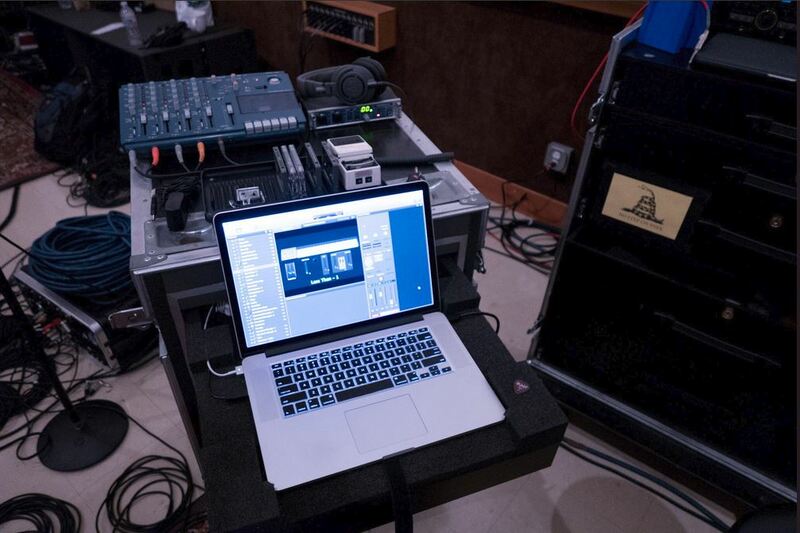 That's a different system, he has two Rene's for the NIN setup. After studying the picture above, I think I've got it. He actually addressed the 2 Renes in the video I linked above. The top row is exactly the same. I'm guessing for studio/personal use he switched the 2nd Rene for PP/Mysteron and has since replaced the Phonogene with a Morphagene. FWIW, he used the 2nd Rene to sequence voltages. So is your quest to get to 100 posts. I love that video. Anyone have a guess where the clock source could be coming from? I believe I heard NIN was pushing a big Mainstage rig -- could clock be distributed from Mainstage into (something? 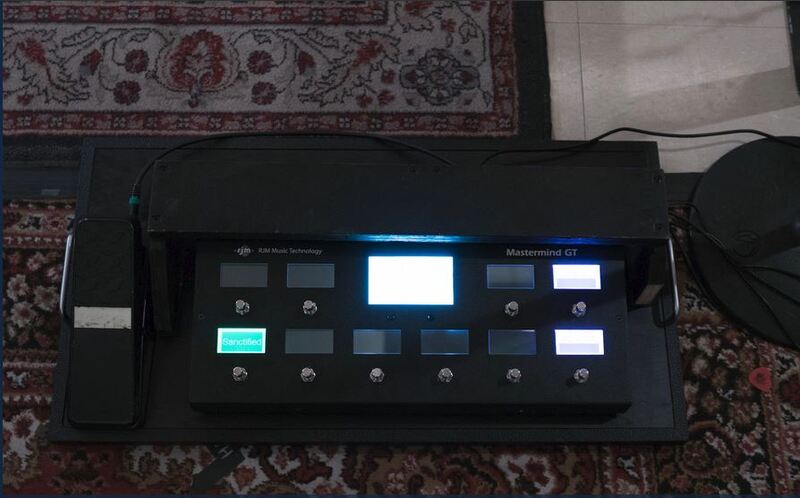 ), which then feeds clock to the separate modular rigs and keeps them in time with whatever MIDI gear is around? Just curious about how people keep multiple modular rigs in sync, esp because there isn't any dedicated clock module (eg tempi) in Cortini's system.